Barcode technology is commonly used in the retail sector and also in other business sectors as it helps to access all the product related information very quickly. 1D (linear) barcode is a kind of labeling system by which all the information related to a product can be obtained in quick scanning. 1D or Linear barcode contains parallel lines of different sizes and widths representing information. When this kind of barcode is scanned, then it determines the scanned object and its information. All the information in this code is organized horizontally from left to right and can be read by any type of barcode scanner. UPC code: UPC (Universal Product Code) barcodes are commonly used around the world to label the consumer products at point of sale. It has two types i.e. UPC-a (consists of 12 numbers in barcode) and UPC-e (compressed version of UPC code which consist of 8 number for use on small products). CODE 39: CODE 39 barcodes are alpha-numeric barcodes which are used worldwide. It could encode 39 characters in a barcode though in its most recent version it has been increased to 43. CODE 128: CODE 128 barcodes are mostly used in supply chains such as transportation sector for distribution. It is basically focused to non-point of sale products. CODE 128 barcodes can store 128-character set in ASCII format. It can be identified in two format sets i.e. Character Set A (allows for uppercase characters, punctuation, numbers) and Character Set B (allows for upper and lower case letters, punctuation, numbers). EAN code: EAN (European Article Numbering) code looks very similar to UPC codes and is mostly used at point of sale scanning. It can be differentiated by numbering system in barcode which was defined by Europe. It has two types i.e. 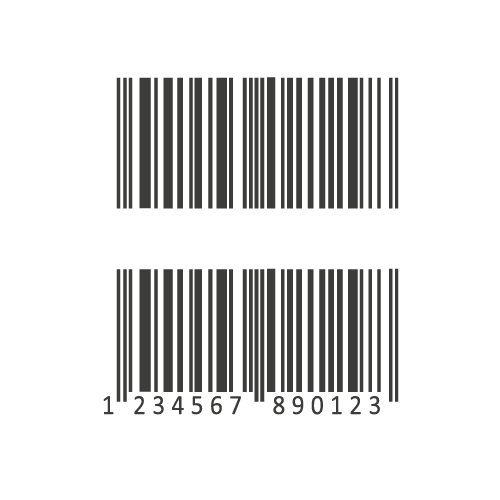 EAN 13 (consists of 13 numbers in barcode) and EAN 8 (compressed version of EAN code which consist of 8 number for use on small products). ITF (Interleaved 2 of 5) code: ITF (Interleaved 2 of 5) barcodes are basically used to label packaging material worldwide. It is mostly printed on cardboards and other packaging materials. ITF barcodes are numeric-only barcode. CODE 93: CODE 93 is improved form of CODE 39, which has additional security with in the barcode itself. It is more compact and it labels around 25 percent smaller than barcode in CODE 39. It is mainly used in logistics to identify packages. How 1D barcode scanner work? A barcode scanner check for the black and white elements of the barcode, which follow a predefined algorithm that is turned into a corresponding text string. This information is sent over to the computer by scanner like a standard keyboard does. This string of text will be displayed where ever the cursor is on the screen, and in this way we get the information about an item. So its very easy and safe to use a product, if 1D barcode is labeled on it as all the information such as product name, price, manufacturing date etc. can be easily obtained from it. Also, the user is assured of the genuineness and price of product which he is purchasing.